Hard-nosed Federal Investigator Adam Klay and reclusive Micah Ryan seem like an unlikely couple from the outside. Both men turn out to be far more complex than my initial impressions of them suggested. Neither one of them is looking for a relationship. They both live with few people who are close to them. This set up really worked for me because I love seeing lonely people find love. I like that we get to meet the men alone and then get to see them discover each other. While their relationship is developing, the discovery of dead bodies coupled with arson attacks lead the men to think it may be connected to the death of Micah’s family years before. I loved sitting back and watching this story come together and connecting all the dots. Briefly around the middle of the story, I wished it was moving faster but I just needed to be patient. The latter part of the story moves much faster. I also loved seeing Micah grow in confidence and come out of his grief and start living again. Storm Season is a really good romantic suspense story and is the first in the Accidental Roots series. Each book in the series can be read as a standalone (I read book #5 first). I’m looking forward to reading the rest of the books in this series over the next few months. 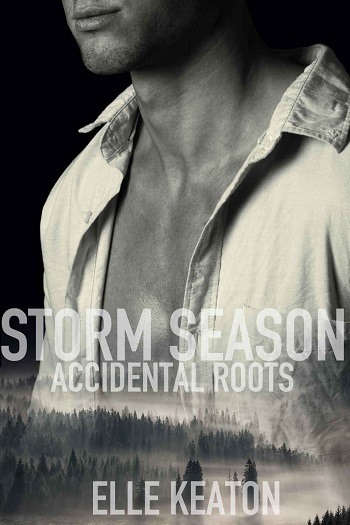 Reviewers on the Wicked Reads Review Team were provided a free copy of Storm Season (Accidental Roots #1) by Elle Keaton to read and review.